Enjoy a beach vacation in luxury and style at North Beach Plantation, multi-year recipient of the coveted AAA 4-Diamond Award. 2BR/2BA oceanfront condo features an oceanfront Master Suite with a sliding glass door that opens to the balcony which overlooks the resort's 2.5-acre water park and the Atlantic Ocean. The master bedroom will have a king bed and the 2nd bedroom will come with 2 queens. The room is going to give you a fully equipped kitchen as well as a washer and dryer. The master bath will also have a whirlpool tub. Fitness area is available on site and shared by others. Pool deck shared by other guests. Reserved this condo...# 792261 for our annual Thanksgiving trip to Myrtle Beach. After later reading some other reviews of condos at NBP (regarding not getting the condo reserved) we contacted the owner to make sure we were getting the condo we had reserved (#792261) She told us she had 3 condos at NBP and that they were all similar and decorated similar and that we would get one but she couldn't guarantee this one. We had already paid and decided we would go ahead and keep our reservation. Upon arrival as feared it was not the condo we reserved (#792261) as pictured. We were quite disappointed as there was significantly less seating in the living room (one reason we chose a condo with two sofas) and one of the queen beds in the quest room was broken with the bottom right corner almost on the floor. Also, unlike #792261 pictured, it was a second floor condo and we could not even see the ocean from our balcony (another reason we chose #792261.) The hotel was quite accommodating, especially since the bed was so broken, and moved us to another condo which was very nice and gave us the seating and view we requested (and paid for) We have used VRBO many times in the past and have always gotten the room/condo pictured/advertised. If you reserve a condo at NBP I suggest you try to confirm that you are getting the condo/room pictured/advertised. The property (hotel, beach, and pools) is very nice and the location is close to restaurants and shopping. I'm so sorry that this guest was placed in a different condo and that it was less desirable. I reached out to the resort and it appears there was a last minute maintenance emergency and my other units were booked. 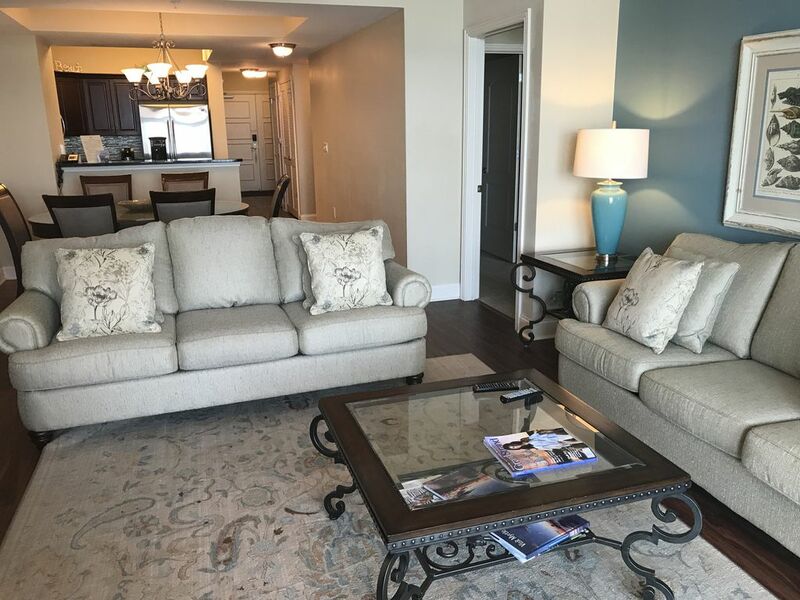 I am glad they were able to get this guest in a condo that they loved and took care of their needs and I hope for a second chance to impress this guest in the future. The accommodations were wonderful along with views from the balcony. We would definitely recommend this place and we would love staying here again. Would have rated it a 5 star but the additional taxes and fees are expensive. My rent was 2 nights for 149.00 each evening but my bill was over $500.00 All fee'sover the 300.00. With one cleaning at the departure for 120.00 is expensive. Thank you so much for your feedback. I am so glad that you all enjoyed your stay and I can't wait to help you plan the next trip! I flew my mom down from MT to stay with us in this condo and it was perfect. This was her first time at the beach since she was 18 years old. We thoroughly enjoyed everything about our stay. This was me and my husbands third time staying at this resort. Only downfall of condo is it lacked lighting in the bathrooms and didn't have a full length mirror. We loved this place and will be back. Thank so much for your positive feedback. I am so glad that you all enjoyed your stay and I can't wait to help you plan your next vacation.